Some things never make it into a journal article. In an Institute such as ours the path to a good paper is often—literally—covered in mud. In coming posts we hope to bring you more tales of the trials, tribulations and triumphs of the field research conducted by our staff and students; however, there is that old adage about pictures saying more than words. 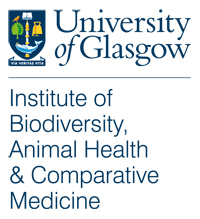 A group of Institute members are currently in Tanzania as part of the Livestock, Livelihoods and Health research programme—a hugely collaborative project exploring zoonoses in Tanzania, led by the University of Glasgow. To highlight the “fun” they had getting to their field site, team member Mary Ryan pulled together this excellent video. With El Niño weather turning roads into rivers, and impromptu camping in hyena country, get ready to see a side of science that rarely gets shown.